Now powered by Boveda! Everyone Ammodor comes with a FREE Boveda Humidity Pack. 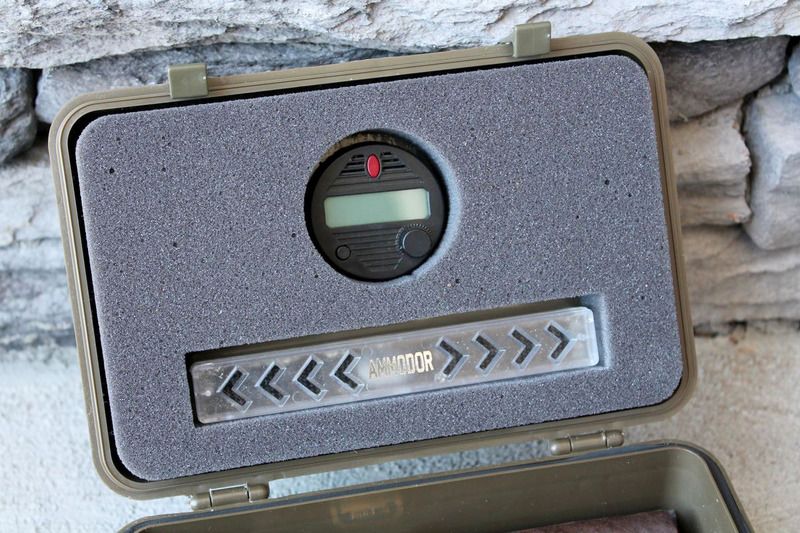 Safely maintaining your humidor has never been easier! Limited supplies – order while we still have them!! The first Ammodor travel humidor. 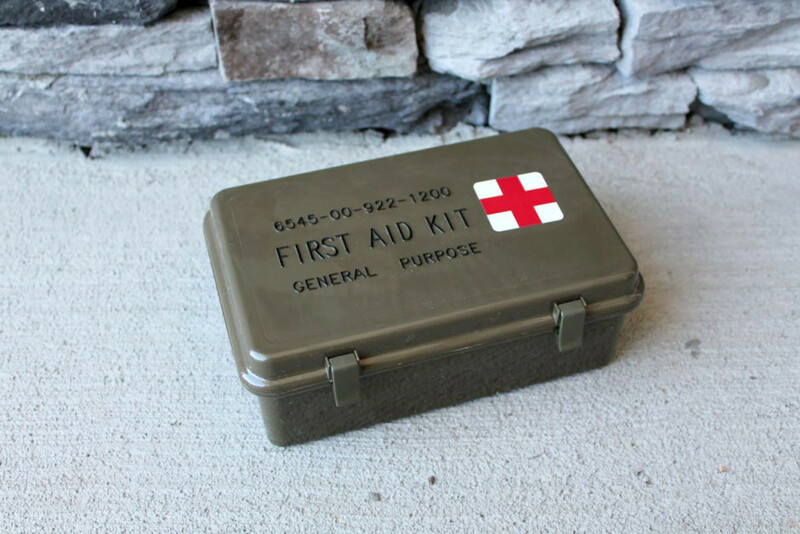 Built from a repurposed US government issue First Aid Kit container in new condition. Holds up to 10 cigars securely in custom waterjet cut foam. Measures approximately 8″ long x 5″ wide x 3″ tall and olive drab green in color. 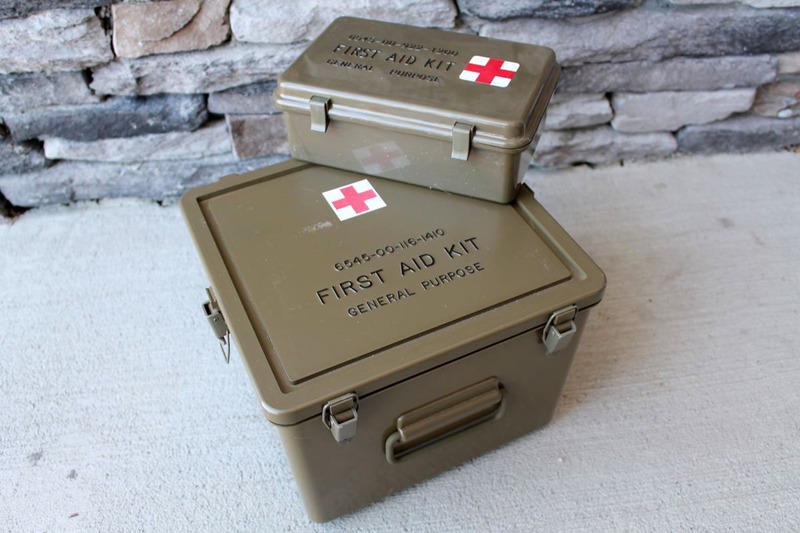 This heavy duty plastic container was made in the USA and features two snap closure latches, first aid embossed lettering and medical symbol graphics on top lid and a rubber gasket inside to make a 100% air tight seal that Ammodors are famous for. Originally used to house medical supplies for our troops. 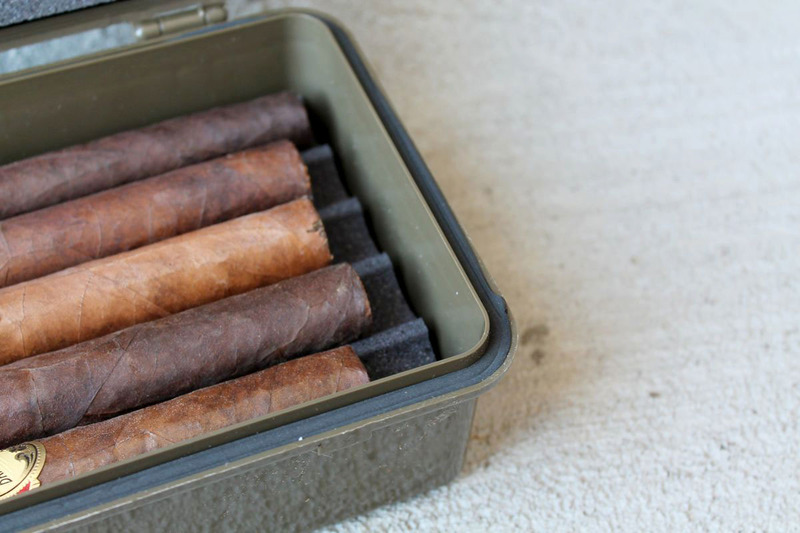 We are the first and only company to offer travel size humidors that are built from repurposed military surplus containers! 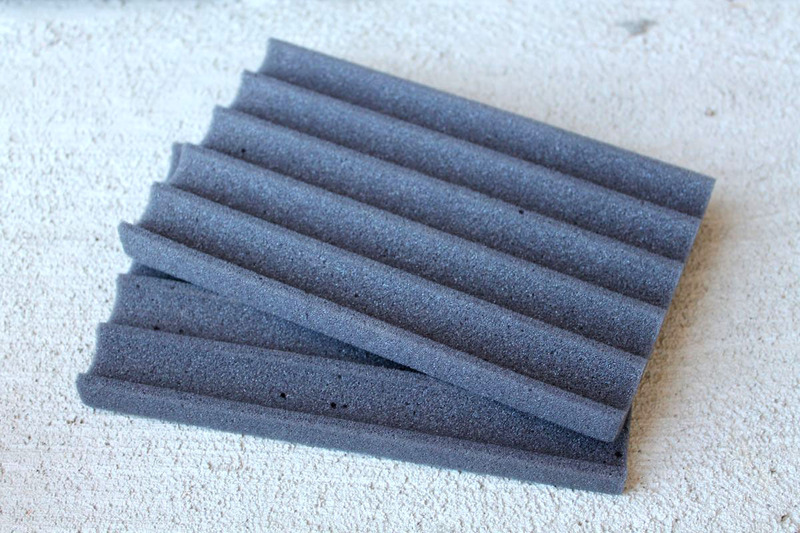 Features two super thick, firm charcoal foam cigar trays that hold up to five cigars each (10 cigars up to 8″ long total). The top lid is also lined with firm charcoal foam and has die cut with spaces for the Xikar Digital Hygrometer or Boveda Metal Holder (included if you upgraded to Deluxe or Premium package). Get all the hardware you need for your new humidor with our convenient Basic, Deluxe or Premium packages – plus you’ll get extra bundle savings! Travel humidor, small Boveda Humidity Pack (8 gram) and Ammodor Decal. Travel humidor, small Boveda Humidity Pack (8 gram), Xikar Digital Hygrometer and Ammodor Decal. Travel humidor, large Boveda Humidity Pack (60 gram), Xikar Digital Hygrometer and Ammodor Decal. Our most popular option! Need more room? 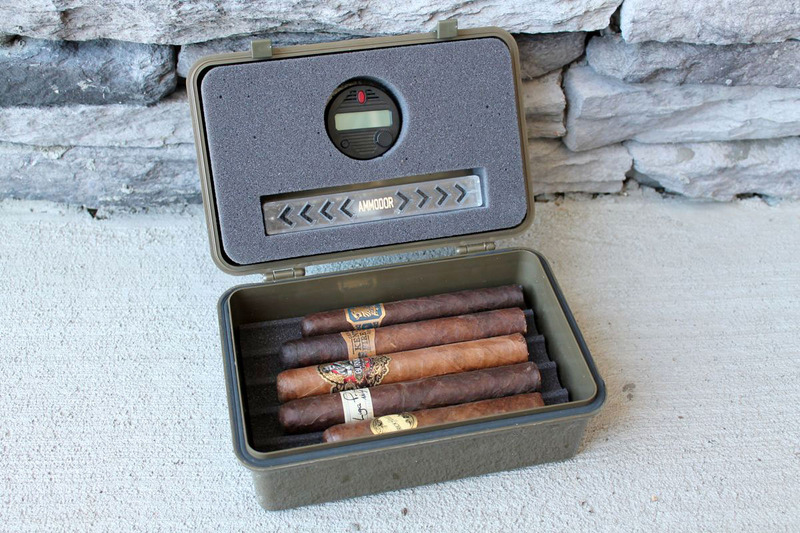 Check out our other travel humidors built from Military surplus and Pelican cases! Ammodors believes in giving back to the men and women that put their lives on the line to protect our Country and our freedom. We make ongoing product and monetary donations to non-profit organizations such as Hope For The Warriors®, USO, Humidors For Heroes and many others. Every Ammodor is handcrafted right here in the good ole USA. Nearly all of our vendors are local Veteran owned small business. We have a “green” manufacturing process and nearly 100% of all waste from production is recycled or repurposed. See what’s going on inside your humidor from your mobile device with the Boveda Smart Sensor Kit. Includes Bluetooth sensor, 75% hygrometer Calibration Kit and free iOS or Andriod app download. Boveda humidity packs need to be replaced when they dry out. Grab some extra humidity packs now so you have replacements ready!